I love that my best souvenir from Nashville is something that I bought at home and made at home. But wrapped up in it are a whole lot of lessons and memories and people that I think of every time I look at it. That’s what my process was all about. 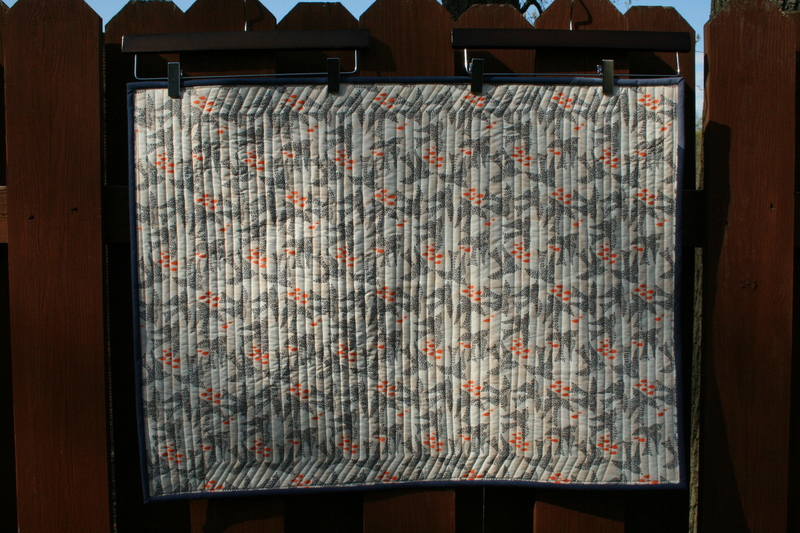 We were asked to bring 18 assorted 2.5″ x WOF strips to class, and I picked a bundle of solids that I spent time picking until I really loved the stack and couldn’t wait to turn them into a quilt. 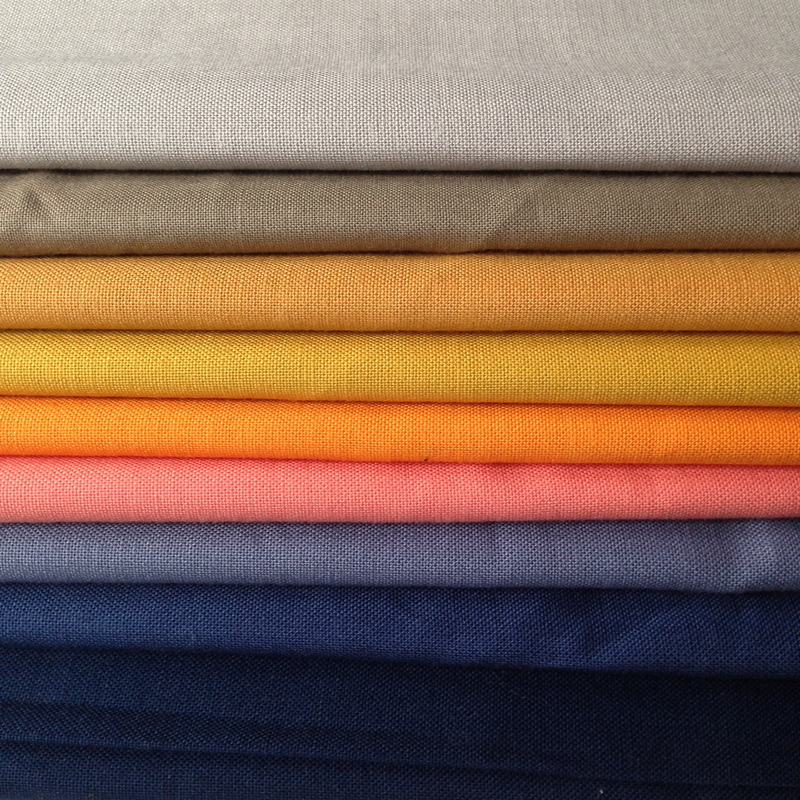 Kona Ash, Michael Miller Dirt, Kona Butterscotch, Curry, School Bus, Salmon, Slate, Windsor and Navy. I liked how different they could look in different combinations and how happy they made my eyes when they were all together. 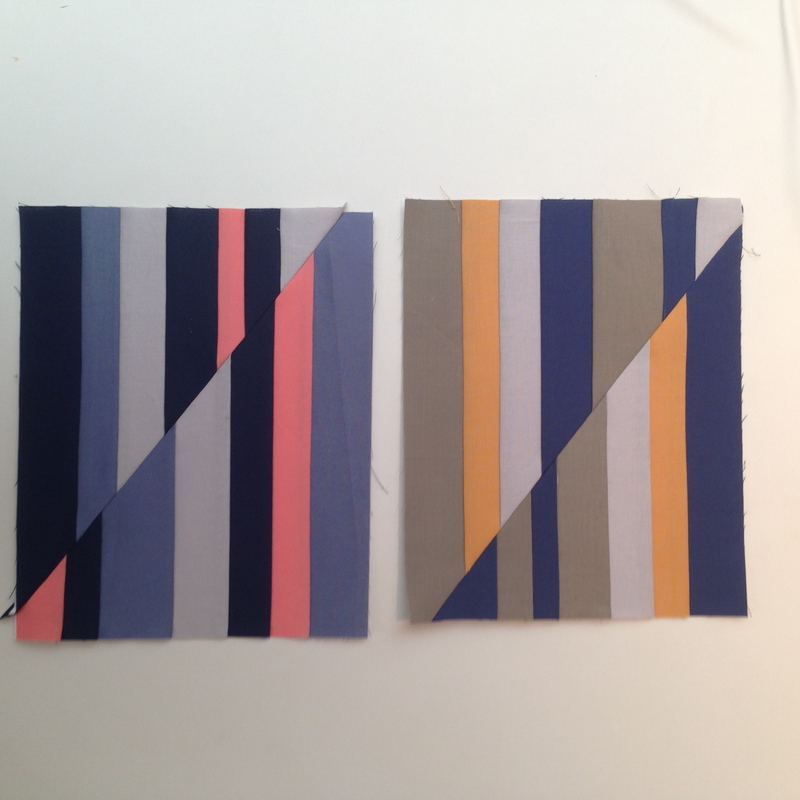 Carolyn told us to pick three colors for each block, but I started combining my strips and decided to go with four (rebel!). I made two blocks in class. To me, the left one is so feminine, and the right is masculine in comparison. Both have Ash, but I think it looks warmer in the block on the right. Near other blues, the Navy almost looks black. Back in New Jersey I started making more blocks and figuring out different combinations. There’s a block with no blues at all, a few that are more subtle and a few that are more bold. But what I learned is that they all needed the Ash to coordinate the way I wanted them to. I tried making one VERY bold block and it just didn’t look right to me. 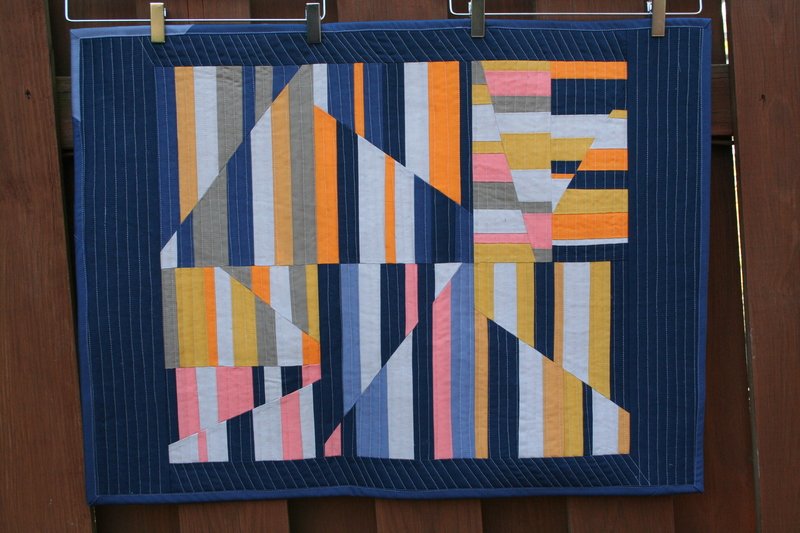 This quilt is so fun and so cool and even thought the pattern is by another designer it feels a lot like ME. I think because it just looks good to me. 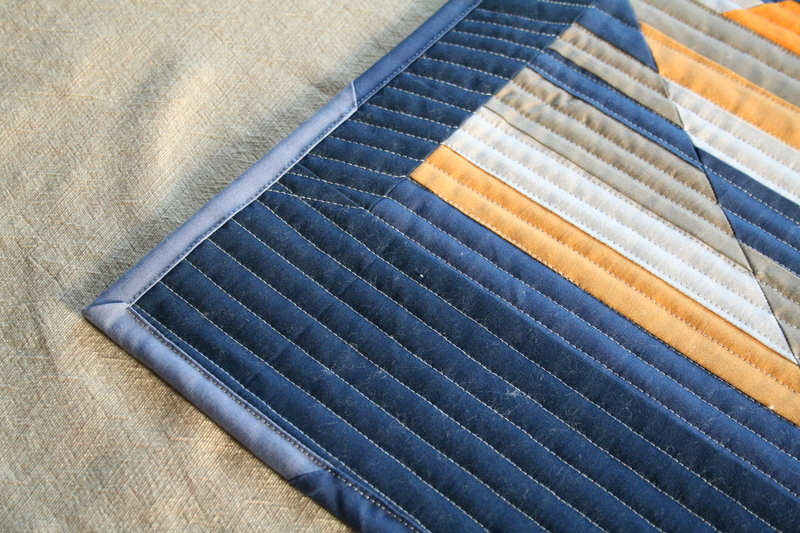 I quilted it using organic straight (ish) lines in the main part, then angling slightly in the top and bottom sashing. I used my favorite silver Aurifil in Zen 50 wt. The back is from the beautiful new Art Gallery collection Sweet as Honey. For the binding I wanted to bring in more of the Slate because it was only in one block. But when I lay it out around the edges, it didn’t look right. I decided to go with the Windsor, which is just a touch lighter than the navy sashing, and then use the Slate to wrap around one corner. (I used Ashley’s machine binding method again.) 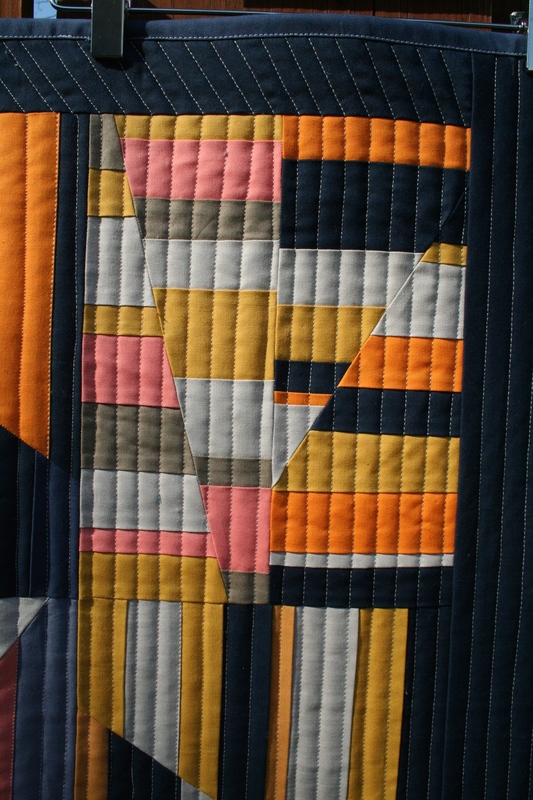 I like how the visible stitches match the quilting. I love the idea of making something to remind me of a time and place instead of buying something (though I did buy plenty of fabric at Sewdown). It might only work for crafty kinds of trips, but it’s nice to have this quilt to hang and remember the lessons and people of Nashville. While down south I listened to a lot of Alabama Shakes. Their whole album Boys & Girls is just good for the soul. Even Northeast girl soul. I love the lyrics of this song “I Ain’t the Same” because I’m obsessed with identity, and we’re all changing all the time. I’m not who I used to be, but this quilt is me in this moment. Enjoy this first weekend of May! Thanks for visiting. P.S. 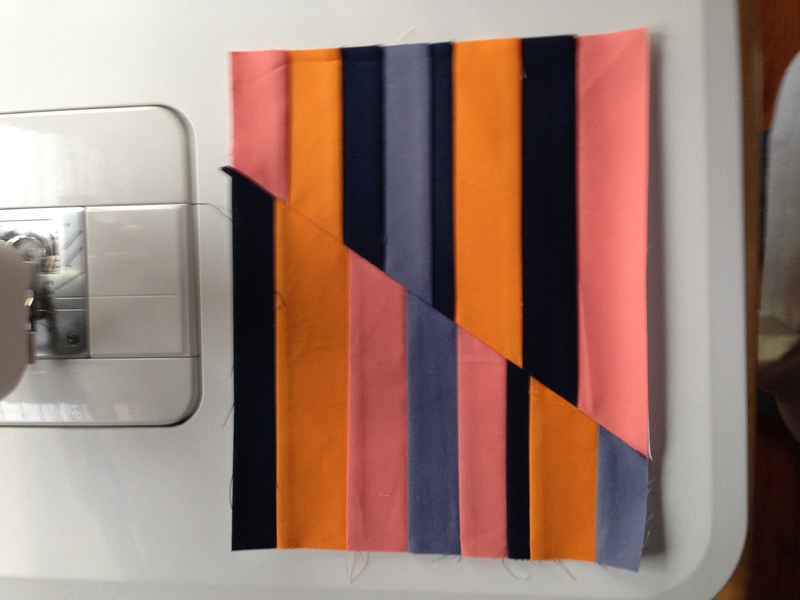 Check out #aerialquilt on Instagram to see other quilters’ take on the quilt design. I love the finish, colors are perfect!!. I am almost there – I hope to finish the top today. I love seeing your finish – it’s beautiful!